In one of my favorite quotes, Jack Welch said: “Change before you have to.” Today, in June of 2017, do UK retailers still have to ask themselves if they want to change? Or have we already passed the time of choice? During the last 12 post-Brexit vote months UK retail has been buffeted by an unprecedented number of fast-changing external factors, condensed in a very short period of time. The “traditional set” of issues for most the UK industries – rising commodity prices, shrinking disposable income, plummeting customer confidence – is, in the case of the retail industry, even more aggravated by another significant threat: the rise of the discounters. German entrants Lidl and Aldi had already made their way into the UK before the Brexit vote, but the post-Brexit consumer trends have created a very noticeable tailwind which has given them a couple of extra market share points at the expense of the Big 4. The pace of change in retail is high, so it is understandable that one might feel at a loss when all the questions and uncertainty around your commercial agenda have abruptly increased their level of urgency: How to prioritize? What to tackle first? How to re-balance between short-term and long-term tasks? I can suggest a simple rule of thumb: what is the common element between the changing environment of the retailer and changing customer behavioral patterns? It is PRICE. For the retailer, PRICE comes to the forefront of the P&L model as margins are squeezed by increasing costs and uncertain demand trends; for consumers PRICE becomes far more critical as food inflation increases their annual grocery spent by an extra 119 pounds – a good reason to become even more price conscious! Even so, there is no need to be desperate. We at Revionics have crystallized the decades-long experiences of our clients worldwide into a formula of price optimization implementation success: CRAWL WALK RUN. What does it mean? It means that, without losing time and lagging behind your competition, but at the same time without stressing your team beyond a speed they can sustain, you will be able to start moving towards profitable pricing at a measured pace, with a customized sequence of steps suited to your particular business. Step number one is to evaluate the complexity of the pricing task versus the pricing maturity of your organization. Taking a step-by-step approach is the key to structuring for success. “Now I can start eating the elephant piece by piece!” This is a happy quote from one of the retailers who participated in a business workshop focused on price and promotion optimization which we recently co-hosted with Capgemini Netherlands for a group of Benelux retailers. And whilst Benelux does not have the Brexit component in their sense of urgency, retailers there face urgent imperatives for change just as retailers do on the other side of the Channel, driven by omni-channel trend development, as well as an equally fierce competitive element with the German discounters trying to increase their foothold in Benelux. The ubiquity of omni-channel shopping means increasing both the price transparency and the velocity of price changes; discounters mean a new price entry level for all main grocery categories. We have come to the table, not with a theoretical approach but rather a pragmatic recipe. The CRAWL WALK RUN concept is brought to life via two examples of retailer success stories, one very different from the other but both showing value of data-driven price optimization and a step-by-step way to implement it in a large organization. One example is the U.S. subsidiary of a global grocer headquartered in Belgium. Before the Revionics implementation, it conducted price calculations in an enormous spreadsheet file with 300 columns and more than 6000 rows. Many readers can probably empathize with this scenario. For this organization, pricing tasks spanned the full complexity of several banners, diverse geographies, more than 200 categories and diverse customer demand patterns. 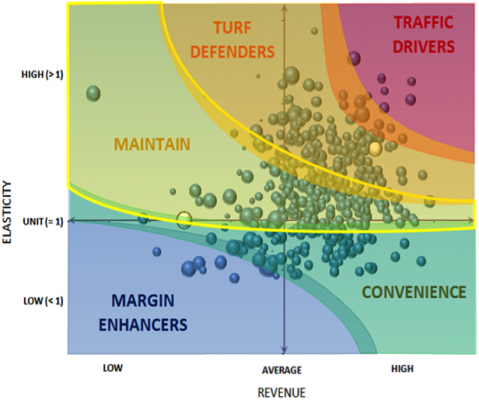 After the price optimization software pilot, it began to systematically roll out price optimization category by category throughout all pricing zones and stores, delivering targeted pricing by geography and banner Even before the end of the rollout, it was able to use price scenarios capabilities which brought multiple benefits, being – among others – a very effective enabler in vendor negotiations. The transparency of the solution’s science-based price recommendations facilitated adoption, and currently, the tool is used at its full “Walking” speed. The pricing team has become a very strategic business partner to the category managers, freed up from manual spreadsheet processes to what-if scenario planning and is now helping category managers to move from reactive to proactive mode. To move to the next “Running” level, the grocer is currently implementing the markdown optimization module, which is going to be instrumental in optimizing prices for seasonal and discontinued assortments. Its next step is to consider promotion optimization implementation, to maximize the effect of the full life cycle price and promotion optimization capabilities for the business. The second example comes rom a less mature retail market, Russia, and features a very exciting online pure-play e-commerce giant, Ozon, which is a multi-category e-commerce market leader of Russia. It has been on the market since the late 1990s, currently pursuing an aggressive strategy to gain market share in the growing online market sector. The complexity of Ozon’s business case lay in the dimensions of category and competitive diversity: the company had more than 100 competitors on its radar, checking more than 4 million items against the competition. The project started with a group of five categories that accounted for almost 80% of its revenue; after just three months adoption was already sky high – 84%! These encouraging results inspired the team to roll out the price optimization solution fully and implement an automated price changes process. 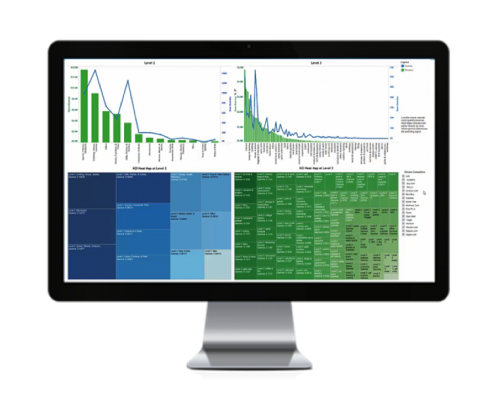 Currently, the teams are working to implement a Competitive Response Analysis, to create full transparency regarding individual competitive sensitivities and make pricing even more targeted and precise. By knowing which items exhibit what levels of price-sensitivity from customers, and against which competitors, retailers like Ozon can avoid the race to the bottom and become very targeted in price changes, ensuring it stays competitive where it matters and recovering margin elsewhere to maintain a healthy business. As retailers reach the “Run” phase, they typically are using the system’s science and scenario planning for these more nuanced, sophisticated initiatives, continuing to unlock value for the organization and staying ahead of the competition. To make a long story short – each retailer has its commercial context, business objectives, and competition; each retailer or even various parts of the business may be at a different stage of the pricing maturity curve. Price optimization solutions will have different long-term effects, but every retailer can start with the low-hanging fruit, whether you are in the Netherlands or the UK. The benefits the retailer recognizes at each stage can in turn finance the investment to get to the next stage of the journey. So, the right retail imperative is to take the first step on your journey towards self-financing pricing, leveraging technology to capture customer and competitor signals in near real time, ensuring your sustainable success in the market and delivering measurable business results while providing prices that appeal to your customers while ensuring your long-term business health. Laska has more than 19 years of retail and FMCG/durable goods experience in marketing, branding, and product management. 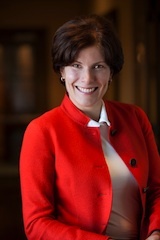 Prior to Revionics, Laska served as global director of marketing for Metro Cash and Carry at HQ in Germany, where she was responsible for a full range of marketing functions: branding (including own brands), CRM, pricing, market research, target groups management, e-marketing and e-commerce at the group level. Prior to Metro Germany, Laska was the marketing and customer management director for Metro Russia Cash and Carry, and several other food and not food retailers prior to Metro. For the first half of her career Laska held marketing and product marketing jobs in the consumer goods sector including Electrolux Home products and Gillette Inc.